The ABSU delegate house empowered the central cabinet to take any policy decision on the matter of movement and politics. ABSU president, Promod Boro talks to the media after the delegates meeting of the students' body in Kokrajhar on January 16, 2019. Image: Northeast Now. The All Bodo Students’ Union (ABSU) has renewed its vow to intensify its democratic mass movement to press for a Bodoland state for the protection of identity, culture, land and political right of the Indigenous Bodo people. Talking to reporters at Bodofa house Bagansali Kokrajhar, the ABSU president Promod Boro said that All Bodo Students Union would strongly oppose any decision of the government which are going to affect the right and privilege of the existing Tribals of the Assam. “ If some more advance and populous communities are enlisted in the ST list, the existing tribal will lose its land, political representation, educational opportunity, employment, economy and great impact in social life. Further, the house strongly condemned the statement made by Hagrama Mohilary, stating to grant ST to 6 Community in the BTAD region in advance,” the ABSU president informed. The delegates sitting resolved to work more effectively for all round development in bringing about quality education in Bodo medium education through “Mission Quality Education”. The ABSU demands distribution of textbooks for the academic session 2019 immediately. The ABSU delegates house further resolved to continue drive against witch hunting, superstition, child marriage, drugs & alcohol, gambling etc prevailing in the society through “Bodofa Mission for Sustainable Change”. The ABSU condemned the statement of BTC Chief Hagrama Mohilary who said there was no infrastructure, industry and IAS/IPS in Bodoland area to create a Bodoland state. “It is an insult to the great Bodo leaders like Bodofa UN Brahma, Premsing Brahma, Bir Silagang and many more and also 5000 martyrs of Bodoland movement. 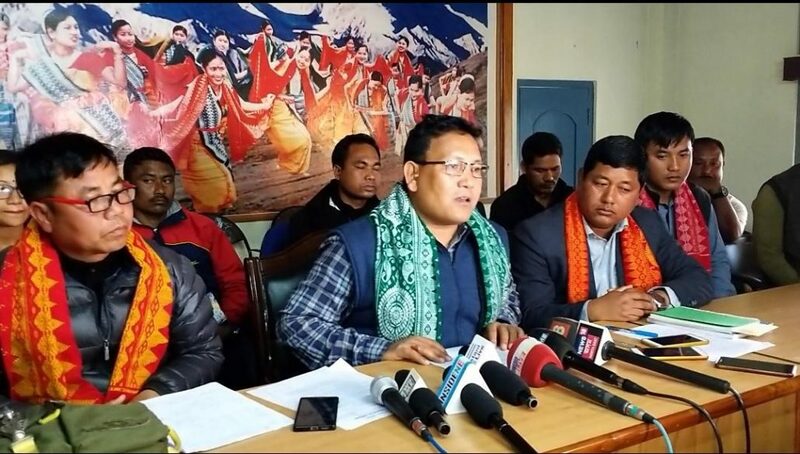 It hurts the genuine sentiment and aspiration of the Bodo people, working and fighting democratically to protect the distinct identity, culture, language, land and its existence of the Bodo people for creation of a state called Bodoland,” the ABSU delegates resolved.